Throughout the U. S., there is huge interest in improving students’ social emotional skills and related behaviors. This is indeed important as a means of building tomorrow’s society. However, measuring SEL skills is terribly difficult. Not that measuring reading, math, or science learning is easy, but there are at least accepted measures in those areas. In SEL, almost anything goes, and measures cover an enormous range. Some measures might be fine for theoretical research and some would be all right if they were given independently of the teachers who administered the treatment, but SEL measures are inherently squishy. A few months ago, I wrote a blog on measurement of social emotional skills. In it, I argued that social emotional skills should be measured in pragmatic school research as objectively as possible, especially to avoid measures that merely reflect having students in experimental groups repeating back attitudes or terminology they learned in the program. I expressed the ideal for social emotional measurement in school experiments as MOOSES: Measurable, Observable, Objective, Social Emotional Skills. Since that time, our group at Johns Hopkins University has received a generous grant from the Gates Foundation to add research on social emotional skills and attendance to our Evidence for ESSA website. This has enabled our group to dig a lot deeper into measures for social emotional learning. In particular, JHU graduate student Sooyeon Byun created a typology of SEL measures arrayed from least to most MOOSE-like. This is as follows. Cognitive Skills or Low-Level SEL Skills. Examples include executive functioning tasks such as pencil tapping, the Stroop test, and other measures of cognitive regulation, as well as recognition of emotions. These skills may be of importance as part of theories of action leading to social emotional skills of importance to schools, but they are not goals of obvious importance to educators in themselves. These include agreement with statements such as “bullying is wrong,” and statements about why other students engage in certain behaviors (e.g., “He spilled the milk because he was mean.”). Intention for SEL behaviors (quasi-behavioral). Scenario-based measures (e.g., what would you do in this situation?). SEL behaviors based on self-report (semi-behavioral). Behaviors observed by independent observers, either researchers, ideally unaware of treatment assignment, or by school officials reporting on behaviors as they always would, not as part of a study (e.g., regular reports of office referrals for various infractions, suspensions, or expulsions). All other things being equal, school researchers and educators should want to know about measures as high as possible on the MOOSES scale. However, all things are never equal, and in practice, some measures lower on the MOOSES scale may be all that exists or ever could exist. For example, it is unlikely that school officials or independent observers could determine students’ anxiety or fear, so self-report (level 4b) may be essential. MOOSES measures (level 5) may be objectively reported by school officials, but limiting attention to such measures may limit SEL measurement to readily observable behaviors, such as aggression, truancy, and other behaviors of importance to school management, and not on difficult-to-observe behaviors such as bullying. Still, we expect to find in our ongoing review of the SEL literature that there will be enough research on outcomes measured at level 3 or above to enable us to downplay levels 1 and 2 for school audiences, and in many cases to downplay reports by interested parties in level 4a, where teachers or parents who implement a program then rate the behavior of the children they served. Social emotional learning is important, and we need measures that reflect their importance, minimizing potential bias and staying as close as possible to independent, meaningful measures of behaviors that are of the greatest importance to educators. In our research team, we have very productive arguments about these measurement issues in the course of reviewing individual articles. I placed a cardboard cutout of a “principal” called “Norm” in our conference room. Whenever things get too theoretical, we consult “Norm” for his advice. For example, “Norm” is not too interested in pencil tapping and Stroop tests, but he sure cares a lot about bullying, aggression, and truancy. Of course, as part of our review we will be discussing our issues and initial decisions with real principals and educators, as well as other experts on SEL. I just read an outstanding study that contains a hard but crucially important lesson. The study, by Woodbridge et al. (2014), evaluated a behavior management program for students with behavior problems. The program, First Step to Success, has been successfully evaluated many times. In the Woodbridge et al. study, 200 children in grades 1 to 3 with serious behavior problems were randomly assigned to experimental or control groups. On behavior and achievement measures, students in the experimental group scored much higher, with effect sizes of +0.44 to +0.87. Very impressive. The researchers came back a year later to see if the outcomes were still there. Despite the substantial impacts seen at posttest, none of three prosocial/adaptive behavior measures, only one of three problem/maladaptive behaviors, and none of four academic achievement measures showed positive outcomes. These findings were distressing to the researchers, but they contain a message. In this study, students passed from teachers who had been trained in the First Step method to teachers who had not. The treatment is well-established and inexpensive. Why should it ever be seen as a one-year intervention with a follow-up? Instead, imagine that all teachers in the school learned the program and all continued to implement it for many years. In this circumstance, it would be highly likely that the first-year positive impacts would be sustained and most likely improved over time. Follow-up assessments are always interesting, and for interventions that are very expensive it may be crucial to demonstrate lasting impacts. But so often in education effective treatments can be maintained for many years, creating more effective school-wide environments and lasting impacts over time. Much as we might like to have one-shot treatments with long-lasting impacts, this does not correspond to the nature of children. The personal, family, or community problems that led children to have problems at a given point in time are likely to lead to problems in the future, too. But the solution is clear. Keep up the good work to keep up the good outcomes! In his recent State of the Union Address, President Obama proposed to “make high-quality preschool available to every child in America.” He referred to research that has demonstrated long term positive effects of attending high-quality preschool programs. President Obama’s support has excited the early childhood community. Who could be opposed to expanding high-quality preschool opportunities? Yet this begs the question: What does “high-quality” mean in practice? “High-quality” preschools are often defined by educators and economists alike as ones in which teachers are adequately paid, facilities are adequate, and the ratio of staff to children is low. These are indeed important elements of quality and they are serious problems, as preschool educators are often very poorly paid, poorly educated themselves, and lack decent facilities. The low salaries received by preschool teachers leads to a high turnover rate, which also reduces quality. So ensuring universal access to high-quality preschools when many current preschoolers are already struggling with quality and funding issues will be a heavy lift. Leaving aside money issues, however, there is an important question about how preschool programs should be structured. There is lots of research showing the benefits of high-quality preschool in comparison to no preschool (as in the famous Perry Preschool and Abecedarian programs). However, there is far less research showing different benefits of different preschool approaches. 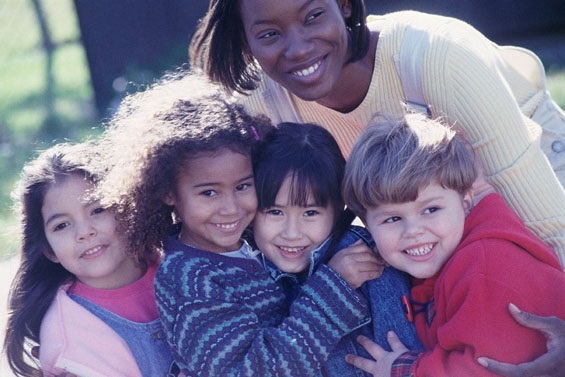 The Preschool Curriculum Effectiveness Research initiative compared a number of promising approaches to each other and to groups using standard preschool teaching methods. The results are summarized in a review on the Best Evidence Encyclopedia. By the end of kindergarten, only a few of the programs showed child outcomes superior to those achieved by other programs. Structured programs that had a very strong focus on language and emergent literacy, giving children many opportunities to use language to work together, solve challenges, and develop positive relationships with each other, had the best outcomes for children. Technology has so far played a modest role in early childhood education, but this may change as multimedia devices (such as interactive whiteboards) become more commonly used. Technology offers opportunities for teachers to enhance language development by engaging children with brief content that helps them understand how the world works. For example, children learning about health can see videos on how the body works and can be provided with video models of how to stay safe and healthy. Children can make choices and manipulate pictures and videos representing objects and processes. Further, classroom technology allows for linkages with the home, as parents increasingly have computers, DVDs, and other media available. Children can be shown exciting content in school and then take home DVDs or link electronically to specific materials that closely align with the content they learned that day. These electronic activities can be designed to be done with parents and children together, and can then inform parents about what children are learning in school. Also, in high-poverty homes children often have few if any books. Existing DVD or internet technologies can provide children with access to appropriate literature, which can be read to them by narrators or by their parents or older siblings. Of course, technology will not replace the majority of early childhood teaching. Young children still need to manipulate real objects and learn to work with each other, sing songs, develop coordination and creativity, and practice appropriate behaviors. However, technology may add the capacity for teachers to show anything they want to their children and to link to the home in ways that have not been possible in the past, and this may result in enhanced learning at this critical age. Expanding preschool access is a terrific idea, but it will take a lot of money and a long time to put into place. The possibility that it may take place should motivate immediate investments in innovation and evaluation, to develop new ways of ensuring that early education leads to enhanced preparation for success, especially for disadvantaged children. Preschool quality should not just be seen as a question of per-pupil cost. Preschool educators and children need innovative, proven models that use modern teaching strategies and technologies that are appropriate to the developmental needs of four-year-olds. Innovation and research is needed to show the way as we head toward universal preschool. On a recent trip to London, I visited Cayley Primary School, a high-poverty elementary school that has been using our Success for All* whole-school reform approach for several years. The principal, Lissa Samuel, has been at this same school for many years before and after it adopted Success for All. She is proud of the achievement gains, which include a jump from 30% to 80% of students passing sixth-grade reading assessments. During our conversation, though, she talked more about how disciplinary problems, fights, and stealing had completely disappeared. Success for All has very good approaches to classroom management and social-emotional learning, and Ms. Samuel thought these had helped. But even more powerful, she thought, was the effect of success itself. Kids who feel confident, engaged, and motivated to learn do not act out. The importance of this observation, which I’ve heard in many, many schools, is profound. Especially at the policy level, I often encounter a belief that the path to improving outcomes on a broad scale is to use test-based accountability that force teachers to align their instruction with desired outcomes. If students are bored or resistant, then teachers should use effective classroom management methods that keep them in control. Teachers do need a deep understanding of classroom management methods designed to prevent behavior problems, and then they need to be ready with effective responses if students misbehave despite good preventive efforts. Yet using classroom management methods to get students to attend to boring lessons is shoveling against the tide. The key ingredient in effective lessons isn’t alignment, it’s pizzazz: excitement, engagement, challenge. How do you create pizzazz? Well-structured cooperative learning helps to engage students with each other in jointly learning context. Stimulating video content can add to excitement and understanding. Hands-on experimentation helps a lot when appropriate, as does competition between teams or against the clock. Cayley Primary was full of pizzazz. Its mostly Bangladeshi students worked eagerly in four-member teams. They took turns reading to each other and helping each other with difficult words. Their teachers called on “random reporters” to represent their teams, and teammates prepared each other, not knowing which of them might be randomly chosen to play this role. Brief, humorous videos introduced letter sounds and sound-blending strategies to first graders. Throughout the school, students were invariably kind and helpful to each other. An observer who did not know the history might think that classroom management was not necessary in such a school, but it was proactive use of pizzazz that got it to where it is, and makes it all look easy. Classroom management strategies matter, of course, but pizzazz matters more. Motivated, engaged, challenged, and successful students are well-behaved, not because they’ve been threatened but because they are too busy engaged in learning to misbehave. The goal of classroom management is not quiet classrooms, it’s productive students. Using pizzazz to motivate and engage kids in learning valued content is the way to manage classrooms toward accomplishing the real goals of education.